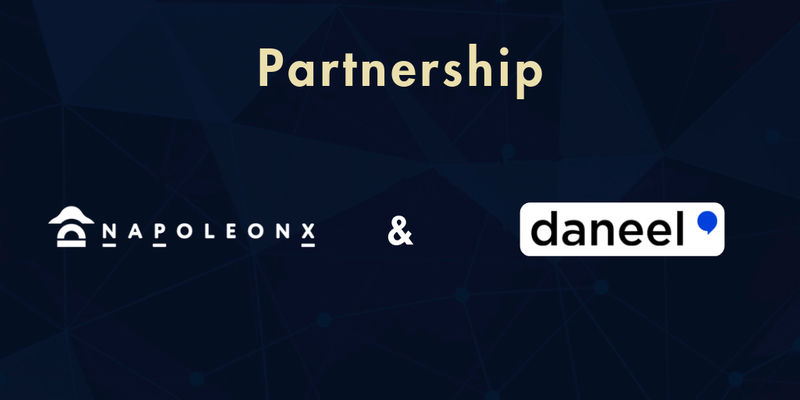 The two French startups have decided to join forces: NapoleonX the first fully algorithmic, scalable, decentralized crypto-asset manager with the Blockchain technology monitoring of Daneel AI. Crypto traders will be able to monitor the market through Daneel’s streamlined news flow and get market insights such as trends and sentiment. Trading in a market as volatile as cryptocurrencies is not an easy matter. The market reacts very quickly to current events, which makes analysts have difficulties to follow; hence the importance of monitoring current events and the emotional state of the market. The additional qualitative information provided by Daneel solidifies NapoleonX strategic proposal and let the users stay on the same platform having access to all the necessary market information for their daily trading activity. The first step of this collaboration is the integration of Daneel’s streamlined news flow. Daneel was released in December 2018 as a mobile application. In the form of an intelligent assistant, the application provides a clear overview of the current state of the Blockchain and cryptocurrency market via a streamlined newsfeed and market insights. Daneel allows traders to get essential information quickly and easily while avoiding fake news and rumors and without leaving the platform. This is a major asset in a market where investors and traders are often misled by information manipulation. NapoleonX is the first fully algorithmic, scalable and decentralized crypto-asset manager, founded by ex multibillion-dollar fund managers in Tier-1 banks (BNP Paribas, Natixis, among others). It did one of the largest and most successful ICOs of France in 2018. With more than 20 proprietary and high-performance trading strategies. The NapoleonX platform offers a wide range of services and tools, all of them accessible from one single interface. Services include trading signals, automated trading bots, performance monitoring, market data & strategies, educational content for learners and now with Daneel a streamlined news-curation. NapoleonX is part of a Group, which includes Napoleon Capital, a specialist in quantitative strategies issued from continuous competition licensed as a financial advisor by ORIAS/AMF, and Napoleon Index, which is the world’s first blockchain index publisher and administrator, registered under BMR regulation.